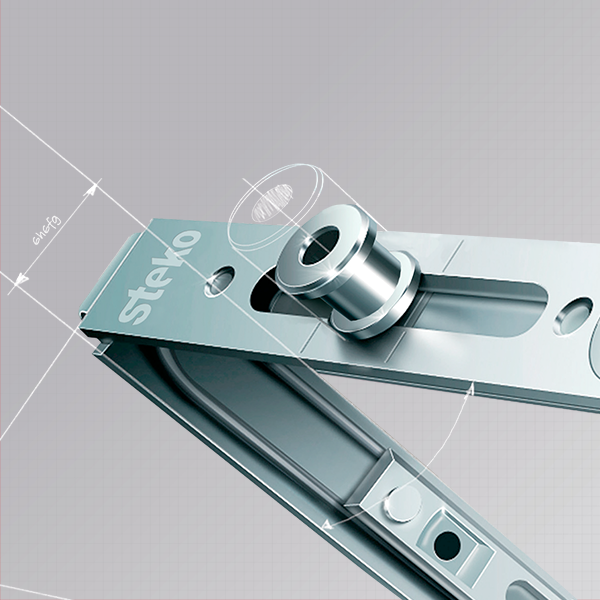 Steko is exclusive components of the best quality. 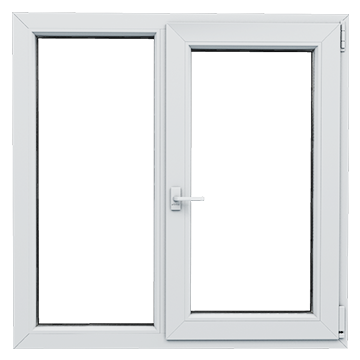 STEKO windows made of the Ukrainian profile for those who values the quality-price ratio. 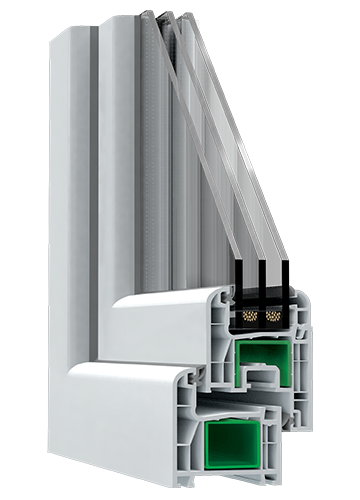 This profile does not inferior the European analogues because it has excellent operating characteristics, good figures of heat-transfer resistance and an attractive design. - made in Ukraine in accordance with GOST conditions. 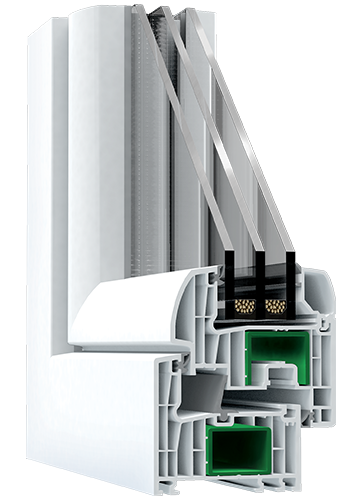 - profile does not changed one`s shape during operational process and at low temperatures. - high strength construction due to the availability of abuts for metal. - stabilizers CaZn provide eco-friendliness of metal products. 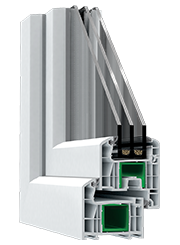 European profile STEKO R series corresponds to all the European norms and quality standards. It`s developed for those who values comfort, reliability and style. - whole R series is made in Europe on the modern equipment with drawing blocks GRAINER, which are the most exact forms for manufacture of PVC profile. - European profile has the best figures of firmness to the influence of atmospheric agent and ultraviolet by means of elevated level TiO2. - during the profile production we use eco-friendly stabilizer CaZn, but not harmful plumbum (Pb). 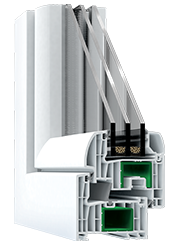 - R series profile has stylish round shapes. 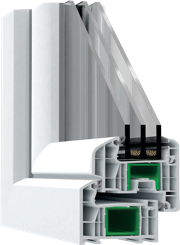 Profile system of the highest class, best quality at the best price. Made in Ukraine. 6-chambered profile, high quality at reasonable price. Made in Ukraine. Profile system of the premium class. Made in Europe, especially for Steko. Multifunctional glass Double Silver Steko is developed and carried out in accordance with the innovative technology Double Silver for PVC windows. This technology foresees to use the method of plasma spraying. 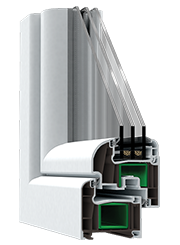 Therefore, several ultrafine coatings are put on the glass, two of them – silver perfection clearance. Namely, silver adds the glass special characteristics. Are you interested in our range of products? Contact us! 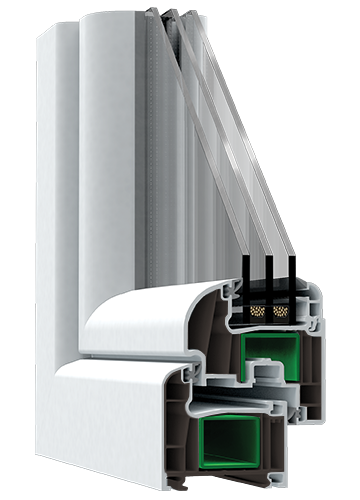 An anti-burglary retardant fitting Steko plus is the conceptually new development. Choosing it, you prefer reliability, functionality and comfort. 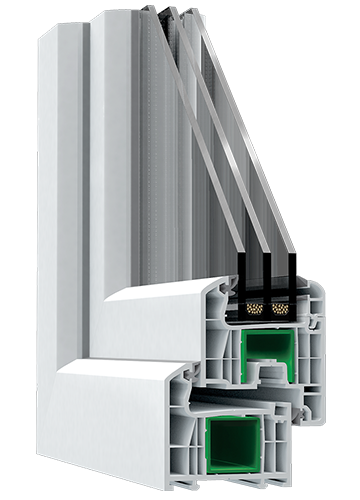 Steko plus fitting is able to protect your from the house-breaking, will help to save warmth in premise and won’t make it possible for kids to fully open window sash. - Decorative finisher.  It will allow combining fitting with windows in different lamination variants. 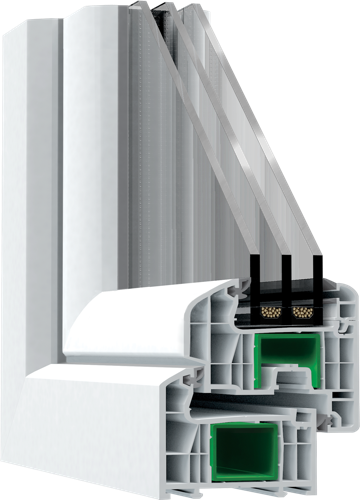 For those who appreciate ideal exterior, Steko offers laminated windows made of the high quality layer. 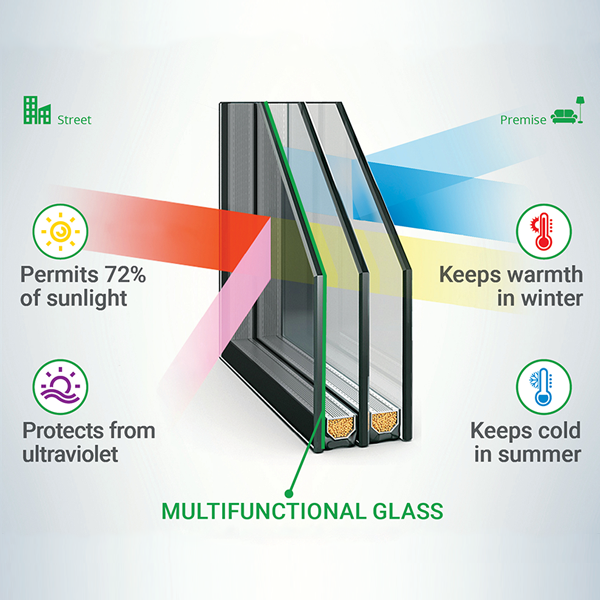 The wide range of decorative glasses will allow to decorate interior and exterior of any flat or private residential properties. Copyright © 2018. 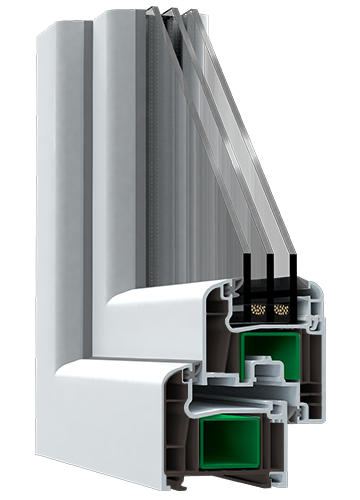 Metal-plastic windows - the company Steko. All rights reserved.